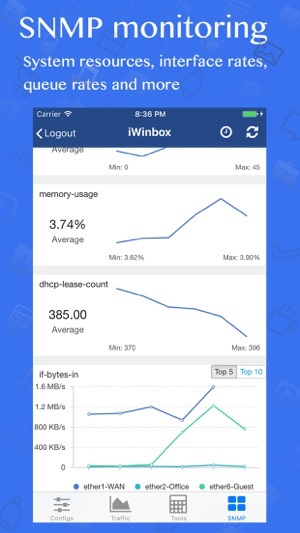 Manage your MikroTik RouterOS v4/v5/v6 devices anywhere, anytime with iWinbox. The app is based on API and API-SSL. 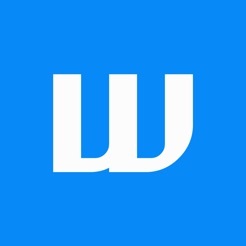 You can use this app on both iPhone and iPad. 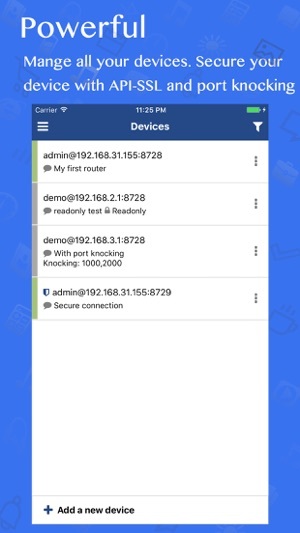 First get the app with following functions: 3 devices management, Status tab, read/write configs. Unlock other features with In App Purchase. • Multi device management, comment and filtering. • Secure your devices with port knocking and API-SSL. locked. • Status bar to show whether it is connectable. • iCloud syncing! Backup your device list and restore them. locked. • Resource monitoring. version, uptime, cpu load, memory usage. • Live chart for cpu load and free memory. • Full features. You can view/edit most settings. 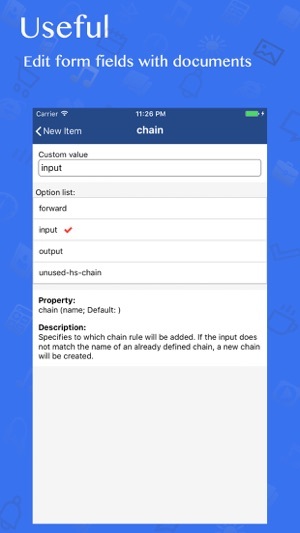 • Filter the list items. • Show description of Mikrotik Documentation when editing a field. • Safe form editing, only save/update changed attributes. • Be able to run System Scripts and get running result. • Live Tx/Rx charts of interfaces. • Live Tx/Rx charts of simple queues. • Ping, Bandwidth Test, Flood Ping, Ping Speed. • IP Scan, MAC Scan. • In one hour/Hourly/Dayly/Monthly Graphs. • Resources usage, eg: CPU, memory, HDD. • Wireless registration table entry count. • Hotspot user rates in/out. • Get metrics every ten minutes. 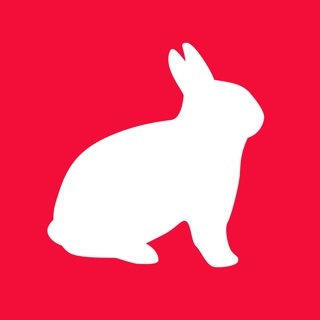 THE APP IS BASED ON RouterOS API/API-SSL. YOU NEED TO ENABLE API SERVICE ON YOUR ROUTER FIRST. • Accept API port in firewall. • Try to connect to your router in LAN first. - Tap on ‘+Add a new device’ at the bottom. 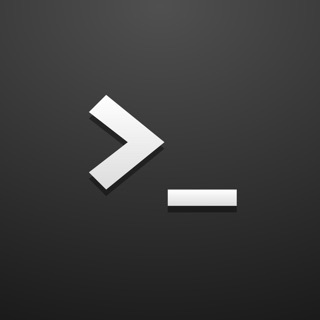 - Fill host, port, username and password. Readonly mode or comment is optional. - Tap on 'Save button' at the top right. - Tap on the device you just added to connect to the device. - Click ellipsis button on a device. - Tap on 'Edit' or 'Delete' button. - Click the Menu button at top left corner in Devices page. - Click the Feedback button. 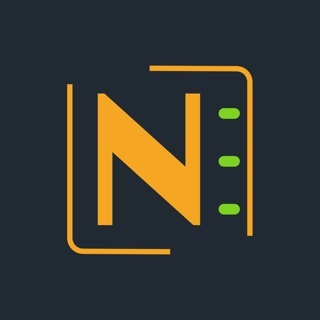 "This is amazing and powerful app allow you to control almost everything in the routerOS. 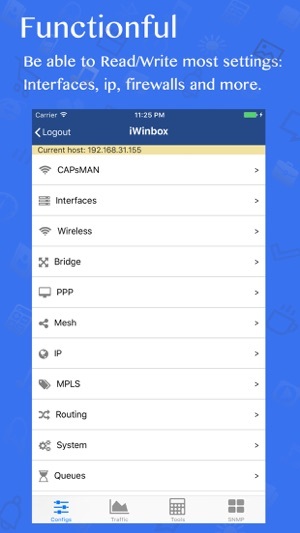 The interface is different to web and winbox but, it doesn't matter, you are allow to control and monitor your devices. Is very stable, fast, small and everything is pretty good." 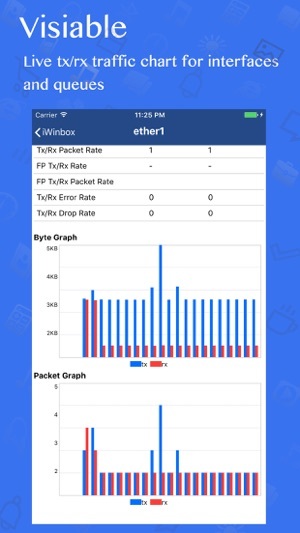 iWinbox's goal is to build the best MikroTik RouterOS toolset on the planet! Feel free to contact us by email. * Sort device list by host or by comment, ascending or descending. * Other improvements for speed and reliability. I don’t think this will be an alternative. Kræver iOS 8.0 eller en nyere version. Kompatibel med iPhone, iPad og iPod touch.